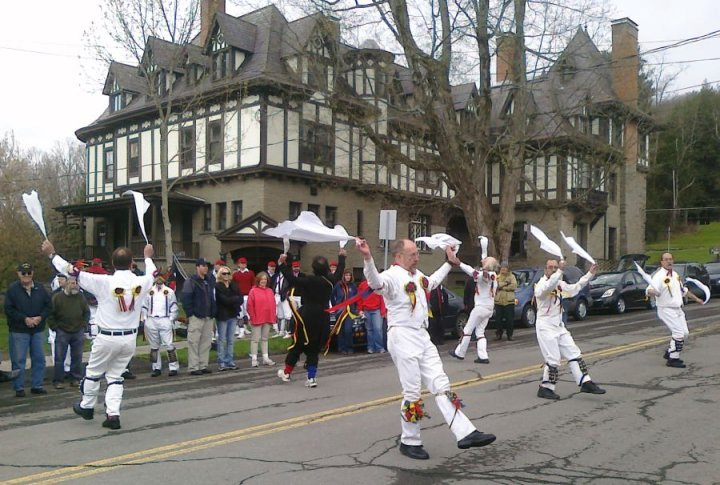 Founded in 1973 by some of the principal members of American morris dancing revival of the 1960s and 70s, the Binghamton Morris Men are the oldest continually performing morris team in North America. September — Saugerties, NY — Hudson Valley Garlic Festival, performances with the Bouwerie Boys Morris Dancers of New York City. For more information or for bookings, contact Ken Kearns or see our Facebook page. We practice most Wednesday evenings from 7 pm – 9 pm at the American Civic Association in Binghamton. Get in touch if you are interested in seeing what this is about.